Recent research has shown that mindfulness meditation can help profile a person’s personality traits and promote healthier formations of self-concept or how individuals perceive themselves and their actions. In the collaborative study featured in Frontiers in Psychology, researchers Viviana Capurso and Cristiano Crescentini summarize the benefits that one can reap from practicing mindfulness meditation as it relates to defining individuality. Self-concept refers to a person’s innate ability differentiate from others. Self-concept consists of an organized collection of emotions and beliefs that provides an outline of an individual’s abilities, motives and self-assessments. While practicing mindfulness meditation, a person takes an objective outlook on the present situation as well as life from a broader perspective. Practicing this over time promotes acceptance, self-compassion and self-awareness. Before conducting the review, Capurso and Crescentini noted the potential benefits of mindfulness meditation, but knew little of its benefits when it comes to self-concept and personality traits. At the start of the study, the team reviewed previous studies that used “explicit personality measures” or tests designed to assess personality traits. These studies found mindfulness meditation to boost self-esteem, positive self-image and lower levels of self-criticism and anxiety. The second group of studies Capurso and Crescentini reviewed employed “implicit personality measures,” to examine the benefits of mindfulness meditation on personality. These studies used tested participants using “automatic association.” In these tests, subjects are asked questions about their personality. The answers to these questions are then analyzed to measure the subjects’ subconscious beliefs about themselves. Capurso and Crescentini saw this method as a means of reinforcing prior research on explicit personality measures while learning more about mindfulness meditation’s ability to align subconscious and conscious perceptions of self. This portion of the review indicated that mindfulness meditation assists in improving self-esteem on both subconscious and conscious levels. 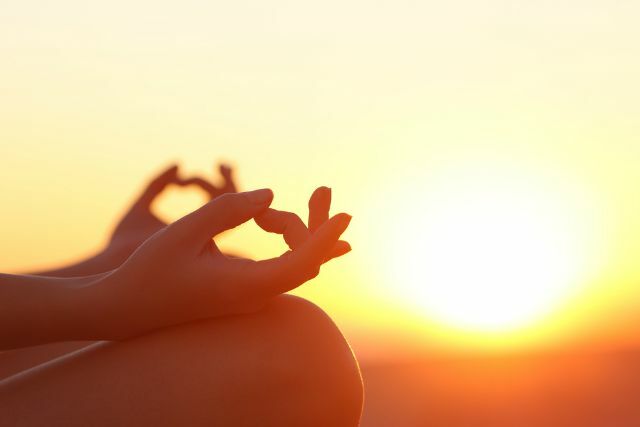 After reviewing the collection of studies, Capurso and Crescentini concluded that mindfulness meditation can be a helpful practice to improve overall well being and emotional balance. That said, the duo also noted that “the research on mindfulness meditation and personality is still in its infancy,” implying the need for further research into the therapy’s ability to shape personality and sense of self. Numerous studies compiled by the American Psychological Association have found that mindfulness meditation yields an abundance of benefits such as reducing stress and negative thought patterns while improving concentration, cognitive flexibility and working memory. Mindfulness meditation can be valuable tool for people who struggle with anxiety disorders, depression or other mental illnesses that require treatment. Approximately one in four American adults struggle with a diagnosable mental illness every year and most of them do not receive the treatment that they deserve. Sovereign Health Group is among the leading mental health treatment providers in the country. We offer a variety of inpatient and outpatient programs across the nation for patients who are struggling with mental health disorders, addiction and dual diagnosis. If you know someone who is struggling with a mental illness and is in need of treatment, please do not hesitate to call. You may reach us at 888-530-4614. Our treatment specialist will assist you in finding the most effective treatment option.